Local residents know Canby as a great place to live. Folks from out of town know Canby as the host to one of Oregon’s most popular annual events, the Clackamas County Fair. Originally established in Gladstone, the fair soon moved to Canby and has been a summer attraction for well over 100 years now! Long-time attendees have witnessed the fair’s expansion and improvements, especially in recent years. In fact, upgrades are currently planned for one livestock building on the Clackamas County Fairgrounds. From the national-caliber rodeo to its impressive livestock exhibits and vast array of performers and entertainers, the Clackamas County Fair is an attractive option for people of all ages and interests. Don’t miss this year’s event, running from August 12th – 17th. For more information, go to www.clackamas.us/fair. 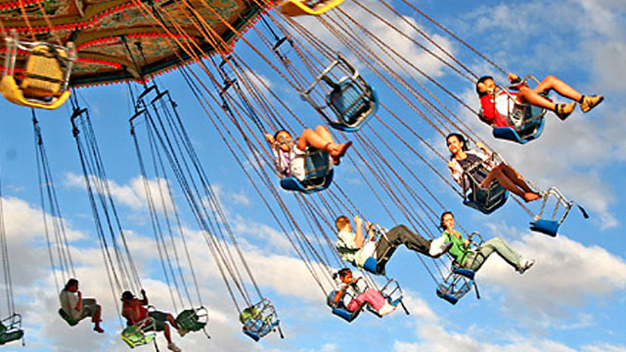 The Clackamas County Fair is lots of fun for everyone!